Even in death Michael Jackson is still the King. Michael Jackson's estate recently struck a deal with Sony Corporation worth an astounding $250 million 7 year deal. According to the Wall Street Journal this makes it the "richest" (I'm think crazy but smart) recording contract EVER. I thought Arista agreeing to a $100 million album deal with Whitney Houston as one of the dumbest recording contracts ever (I'm just saying). According to TMZ.com (which is proving to be pretty reliable), the King of Pop left enough material for 3 full albums of fresh albums (I'm guessing the fans will get 1 or 2 songs on a bunch of compilation discs). 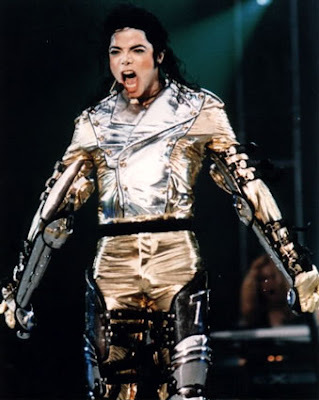 Since Michael Jackson's death Sony Corp. has sold 31 million albums. The deal will also allow Michael's music to be used in T.V., film and stage productions.